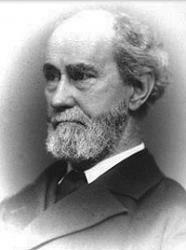 Today in Masonic History we present The Lodge Focus by Rob Morris. Which lendeth grace to every thought! 'Tis chosen well, the sacred spot. Will lead the soul to heavenly height. His heart and tongue no wisdom bear. Good spirits stand and speak with him!